Magic is one of the best records I bought this year. 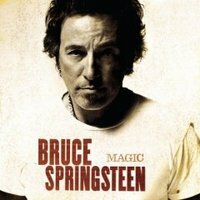 It’s not magical like some of the records to come on this list, but its solid and at times reminds me of the younger Bruce who laughed while singing about Santa Claus. I think that Bruce is long gone, but the one we’ve still got made a solid record this year and I’m happy about that.